This post builds upon the previous one and shows how one can separate fixed and variable cost elements. 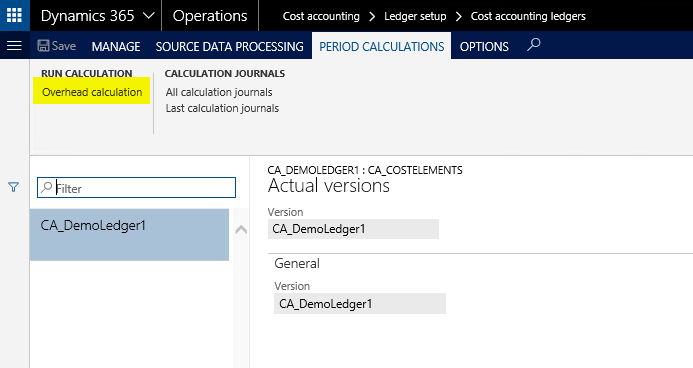 To split the total costs of a cost element into a fixed and variable part, a cost behavior policy for the cost elements used in the cost accounting ledger needs to be specified. 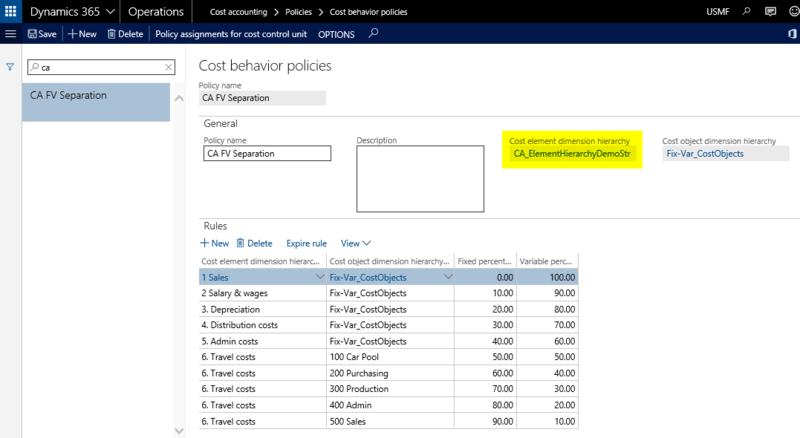 Within the cost behavior policy form, combinations of cost elements and cost objects can be used for specifying fixed and variable cost parts at different levels. The following screenprint exemplifies this. 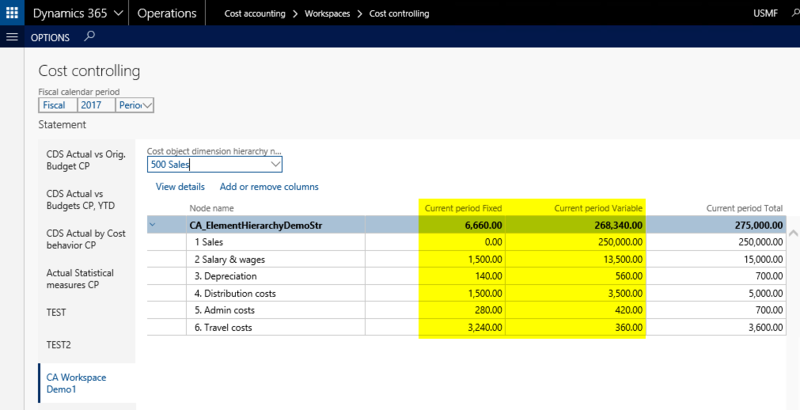 Once the fixed and variable cost parts are specified, the cost behavior policy needs to be linked to the cost control units of the cost accounting ledger, which can be achieved by selecting the ‘policy assignment for cost control unit’ button shown in the previous screenprint. 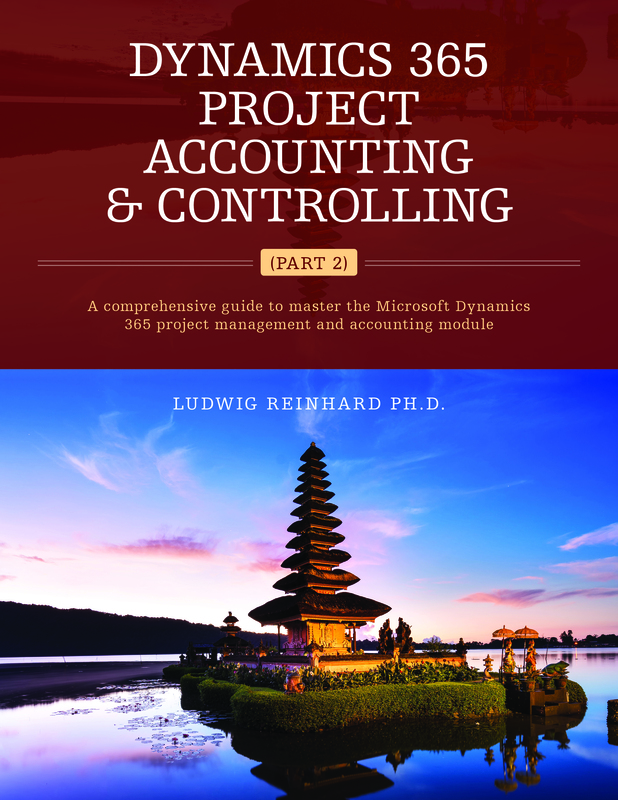 Thereafter, an overhead calculation can be executed in the cost accounting ledger to get the total costs split up into a fixed and variable part. 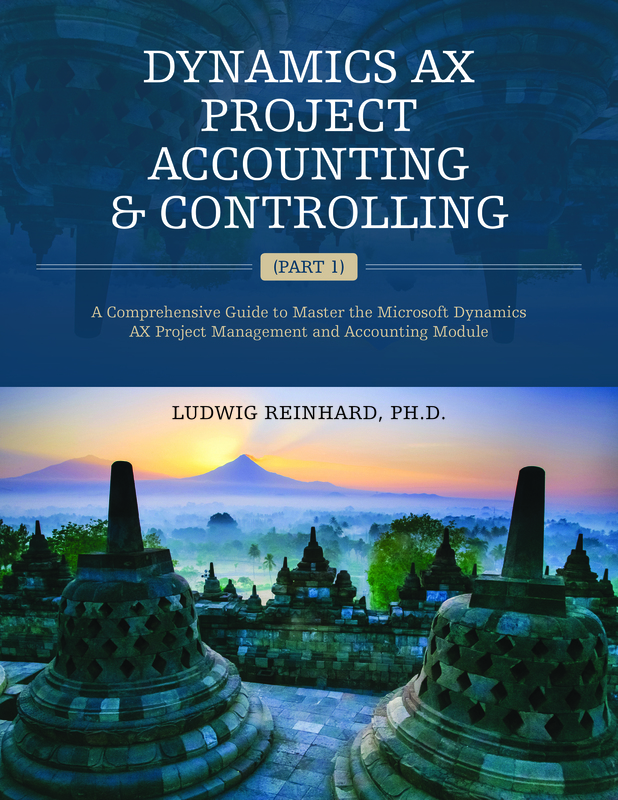 The last step required for illustrating the fixed and variable cost parts in the cost controlling workspace is the assignment of the actual overhead calculation version in the workspace configuration form. 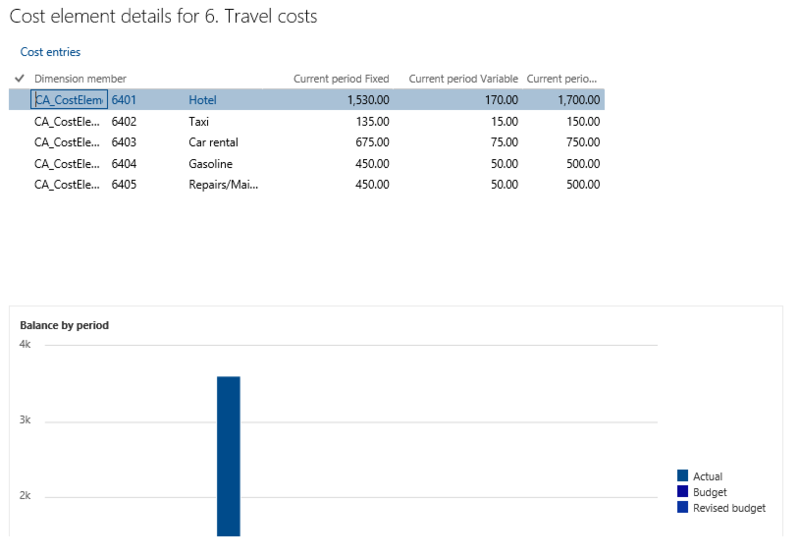 … and the cost element details form. I will describe this in one of the next posts. You have to be a bit patient until they are all published :-). 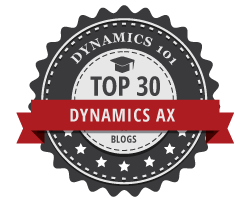 If you need a quick reply either check out the MS docs websites on the new cost accounting module or post a thread in the AX community forum site.